Basement moisture is one of those bedeviling problems that seem impossible to mitigate. Once you have fixed one source of moisture, another source appears. It is impossible to finish your basement without first attacking and eradicating moisture; nothing can happen before that, not drywall, not flooring, not paint. You may need to take the pragmatic view and realize that no matter how many measures you take moisture may still remain. So, in many cases, it’s more a matter of greatly reducing your moisture problems than completely eliminating them. However, in some instances, your basement wetness can be 100% eradicated. 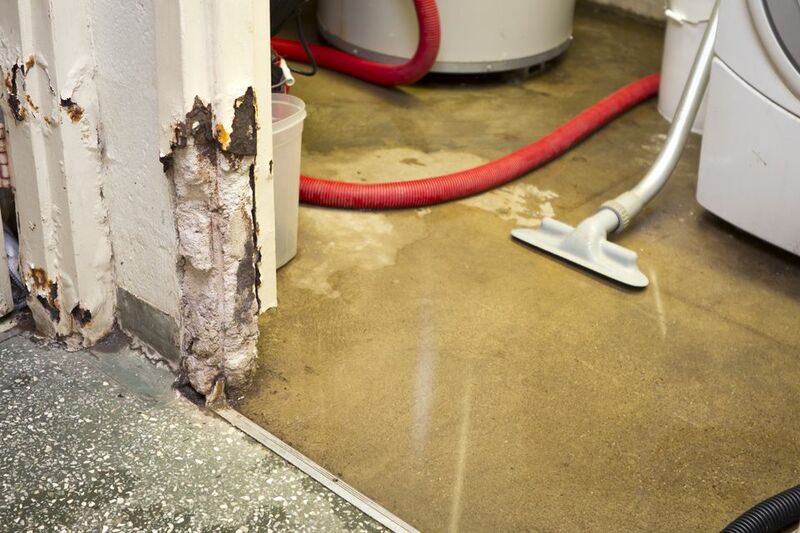 Most homeowners think that basement moisture is the same as basement flooding. While water may seep into your basement from the ground surrounding the basement walls and even under the basement floor. condensation can be equally damaging. Condensation forms on basement walls: invisible, airborne water droplets condense on cold surfaces. And as you well know, basements tend to be cold. Thus, you get condensation. It Can Be Hard To Find. So Be a Detective. Of course, the most obvious sign is standing water. But beyond that, learn to look at your basement like a detective and search for indirect things, such as: peeling paint on the walls (condensation will cause the paint to peel); white, powdery material on brick walls called efflorescence; rotting wood; rusting water heater, dryer, washer, or other appliance platforms or feet. Reduce Seepage Around Basement: Regrade soil around foundation walls to prevent water from moving toward the foundation. Direct downspouts far away from basement walls with downspout extensions. Clean gutters. Fill Large Cracks: Use a product like Quikrete Hydraulic Water-Stop to fill large foundation holes and cracks. Apply Masonry Waterproofer: Roll and brush on a waterproofing masonry sealer like Quikrete Masonry Coating. Install Sump Pump: For major water intrusion, install a sump pump. Installing a sump pump is a major undertaking, requiring the services of a contractor. Your basement floor must be broken up and later re-patched, and plumbing and electrical wiring are also involved.